The weekly podcast is presented by: Morten Øverlie, Erlend Dal Sakshaug and co-host virgin Will Ashurst. “Frankenweenie” to become an animated feature. How to make $55.000 by giving away your work. Will mentions these links in the news segment: “Blue Zoo” and “Mr.MagoosChristmasCarol.com”. 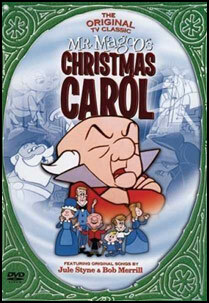 Mr. Magoo’s Christmas Carol (1962), directed by Abe Levitow. “Rudolph, the Red-Nosed Reindeer” (1964), directed by Kizo Nagashima and Larry Roemer.